Whether you’re looking for a great chess club or hoping to start your very own, we’ve got tips on what makes a club truly outstanding. What makes a chess club truly outstanding? For friendship and camaraderie, as well as merciless attacks and takedowns, there’s no place better than a well-organized chess club. 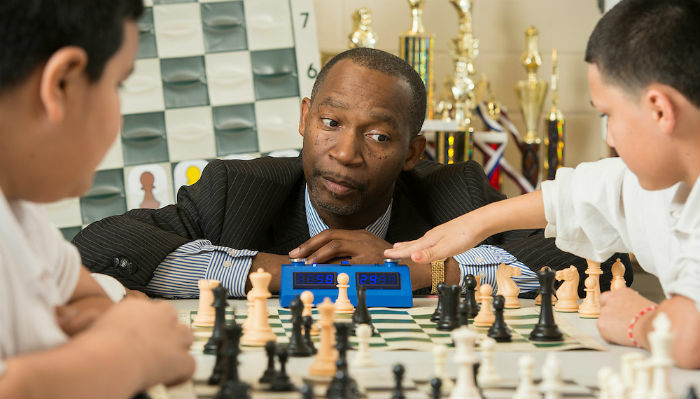 It doesn’t matter if you’re a shaky beginner who doesn’t know a pawn from a rook or a seasoned chess strategist – you’re sure to find a place where you can learn, hone your skills, or find someone to match your talents head-to-head. While many people play this time-honored game in its digital version online today, there’s nothing like facing off with an opponent across an actual board in person. If you’re looking for the best places to play chess around the world, we’ve researched all of the top ones and put all of the need-to-know information together for you. If you don’t have any sort of chess-themed organization in your area and are thinking of starting one up, we’ve got tips on that, too. From informal gatherings to formal clubs that provide lessons and take part in tournaments, we’ll tell you all about what makes a great chess club. Because it’s the perfect game of strategy for all ages, we’ll cover clubs for adults, as well as ones that have programs for kids, as well. To learn everything you ever wanted to know about chess clubs, read on! When you’re done, check out our individual club pages to learn more about different organizations around the world. No matter where you are, there’s likely one near you. And if there isn’t…what are you waiting for? Whether you plan to join one that’s already established or found your very own, this is your go-to resource. Where else would you expect to find a great chess club in the US? St. Louis has one of the most vibrant and fastest growing chess scenes of any US city. This club is a big part of that activity, since it sponsors a number of school-based chess programs in the local area as well as hosting a wide variety of chess tournaments and even some World Chess Hall of Fame events. This organization has been around since its founding in 1915, giving it the honor of being the second oldest chess club in the United States. It has hosted many exciting and monumental events in its long history, including the 1956 Game of the Century between Bobby Fischer and Donald Byrne and Jose Capablanca’s last exhibition. But the good times aren’t only in the past- MCC is still a thriving community that attracts chess experts and beginners alike, and welcomes them with open arms! For those of you on the West Coast, the San Diego Chess Club is the place to be! Its focus is on providing events and opportunities for experienced chess players, rather than teaching the game to beginners. This means that more of the resources can be put toward tournaments and large annual events like the San Diego County Championship and the Southern California Open. So, if you already have a strong foundational knowledge of chess, it works out great! This is Colorado’s oldest chess club, and one of the first of its kind in the country at the time of its founding in 1859. Perched in the heart of the Rocky Mountains, DCC adds to the vast recreational options that Denver has to offer. When you need a break from hiking, skiing, climbing, or kayaking, stop in here for a bit of mental exercise! Since its beginnings in 1885, BCC has become not only an establishment in the London chess scene, but an integral part of London itself. There, chess newbies and beginners alike can sit down for a friendly game and conversation. For the more competitive members, there are also plenty of tournaments and championships to take part in, as well as an active chess league team. With over 100 years of successful, continuous operation behind them, they must be doing something right! This reputable New Jersey institution has been in operation for over 20 years now. Its full array of classes, camps, tournaments, leagues, and other events keep members coming back for more. This club has a unique focus on chess education, rather than simple socialization, and has sharpened the chess skills of all the hundreds of players to come through its doors. For chess-loving Thai tourists and locals alike, the Bangkok Chess Club is a great place to be. This club is a powerful presence in the international chess scene, and one of the biggest influences on the Southeast Asian chess scene. It hosts some of the most well-attended tournaments in Thailand, and makes a ton of resources available on its website for travelers and others who want to stay up to date with what’s going on at BCC! With a fun twist on Arthurian legend, the Knights of the Square Table are bringing chess education and appreciation to kids and young adults throughout the state of Oklahoma. They put a lot of effort into making the experience fun for the kids so that the love of chess is more likely to spread far and wide. We love their cool team t-shirts and the daily online chess practice resources provided to members. If you’re a chess player down under, there’s no need to feel left out! With all the surf, sand, and sun that Australia has to offer, it’s easy for outsiders to assume that indoor activities like chess often fall by the wayside. But that’s far from the case, and who says chess needs to be played indoors, anyway? NCC members enjoy the game inside and outside, at home and away, every week and every day! This club has been shaping the West Coast chess scene for over 100 years now! In that time, it has been visited by some of the most elite chess player’s in history, like Arthur Dake, and Susan Polgar. This club has been one of the most innovative and influential in America, being partially responsible for the popularity of simultaneous exhibitions and giving the world a chess player ranking system that predated the Elo system by 20 years! Downend & Fishponds began in quite a natural way, as just a small group of friends who wanted to get together and play chess. From these humble and organic beginnings, grew a club that is now one of the most foremost chess institutions in all of Southwest England! In just one year, the club had grown from a few friends to 40 official members, and the rest, as they say, is history. Dallas, Texas is another one of the US’s little pockets of chess culture. The University of Texas at Dallas, in particular, is one of the only colleges in the country that seems to take chess seriously. Not only do they have a chess team, but that team is actually good! This chess club is another branch of UT Dallas’s academic chess program, catering to new chess players and others who want to enjoy a game in a more casual setting. Hammersmith is one of the largest and most outgoing chess clubs in London. Not only does it welcome with open arms all interested persons who come through its doors, but it actually goes out into the city to try and bring more people in. Don’t be surprised if you run into club members in downtown London raising money for charity! So what, exactly, is a chess club and what makes one better than the other? What should you look for if you’re hoping to join one? Where do you start if you want to found your own? In this next section, we’ll take on these kinds of frequently-asked-questions to provide you with all the answers you need. What Is a Chess Club? First things first: what is a chess club? If you have a group of friends that get together regularly to play, then technically, that’s a chess club – albeit an informal one. Many schools organize after-school groups to teach kids the basics of the game and help them improve their skills. Adult chess groups and leagues are also very popular. Membership in these ranges from people who are hoping to learn the game and beginners who are eager to give it a try to super-skilled players who study chess strategy and are gurus when it comes to the game. In a nutshell: a chess club is any forum in which a group of people gather to play the game on a regular basis. What Makes a Good Chess Club? When you’re researching this topic, how do you know what factors make one organization stand out from the rest? 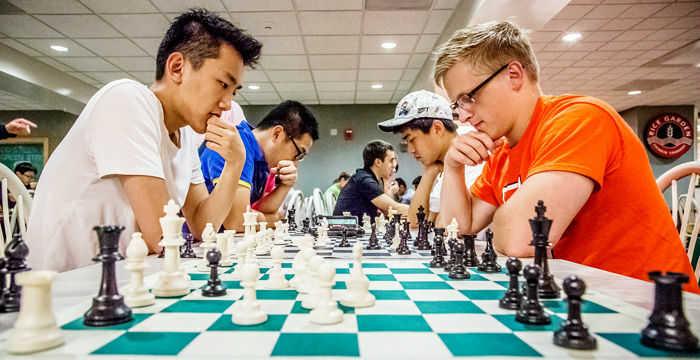 In our opinion, these are the things to look for when choosing the best chess club. The main factor in an excellent chess club is a diverse membership. This means people of both genders, all ages and backgrounds, but it especially means having a membership that ranges across all skill levels. When this is the case, everyone will be able to come to the table and feel well-matched, whether it’s someone who is just dipping their toes in the chess waters or a seasoned player who is looking for a real challenge. A truly organized group will have a method of rating its players. This helps each person know where they stand in terms of skill level. A rating system helps ensure that members can be paired for play in an appropriate manner, but more importantly, it gives the players bragging rights and an objective number they can seek to improve as they work to move up in the ratings. Beyond that, people generally choose where to play chess based on the amount of opportunities they’ll have to play with players inside the club itself, as well as facing off against players from other clubs. Playing in tournaments is an exciting way to up the ante and engage in stiff competition with chess players from around the country – or even around the world. How Can I Start a Chess Club? It can be disappointing to discover that there’s nowhere to play chess with people in your area, but if this is the case, don’t lose heart! Even the biggest organizations had to start somewhere, so you can always take the initiative to start your own. If you’re ready to get started, the first step is to find a group of friends who love to play. You’ll need to meet and discuss the guidelines of the club and create a constitution that will lay out the rules and restrictions. Will the group be open to the public or members-only? Will you charge a fee for people to join? This should all be included in the club’s constitution. If you charge dues, it’s a good idea to create a less expensive rate for younger members to make the organization more accessible to them. If the club will provide the equipment for players – chess tables, chairs, chess sets, chess clocks, etc. – it’s important to make sure you collect enough dues to pay for it as your numbers grow. The next step is to agree on how often you’d like to hold meetings and find a place to hold them. When you first start out, you can hold them at members’ houses (rotating to a different home each time), but as things begin to grow, you’ll need to branch out and find a larger, more public space. Talk to your local community center or library to see if they have a room you can reserve biweekly or monthly for meetings. You may get a local restaurant to agree to allow you to use one of their party rooms (after all, they’re guaranteed to sell more food when your group converges on it). Bookstores and schools are also good ideas for potential meeting places. Once your organization is running well, your players can become members of and obtain ratings from the US Chess Federation or other groups within the World Chess Federation. As we mentioned before, these rankings provide incentive for improvement, as well as ensuring that players are evenly matched when they face each other in tournaments. Make sure to keep things interesting by scheduling plenty of events (and announcing them on social media, as well as to local news, TV, and radio stations). Tournaments, contests, and invitations for chess grandmasters to visit your club and give simuls will keep current members interested and new members signing up. When it comes to joining a chess club, there are too many benefits to name. Most people first get involved because it’s an excellent way to meet other people who share a passion for the game and its long history. An organization that features members of all ages provides an excellent way for kids to learn the basics of chess (and those are like learning to ride a bike; once kids learn them, they’ll never forget!). Meanwhile, a chess club for adults provides a grown-up outlet for those who want to get out and make friends in an intellectually stimulating setting. No matter what, meeting and playing with others provides an opportunity to improve your game and sharpen your skills in a way that online play simply can’t match. You’ll be able to battle opponents face-to-face, as well as talk with other members and get tips on the mental acuity and strategy needed to become a top player. Which organization is best for you will depend on your personality and specific goals. You’ll be able to check out different groups based on their level of formality, for example. Do you prefer one that’s more like a gathering of good friends or do you want one that has more of a professional polish to the organization? Size also matters; some members may want a smaller, more intimate feel, while others are enthusiastic about the idea of being able to meet dozens or even hundreds of other players at various skill levels. If you live in an area where there’s currently no chess club operating, start one! Chances are that there are other people just like you who are looking for somewhere to get their game on and so far, they’ve also come up empty-handed. Who knows? Maybe your group could be where the next Bobby Fischer or Garry Kasparov gets their start! Whether you’re thinking of starting a chess club or joining one, the goal is to simply put yourself out there and take the first step. An entire world of competition awaits you!